A guest post by Daniel Primed…. This is truly a frustrating and sad situation. Nintendo has built up three of their strongest properties so much so that these other great titles simply can’t stay afloat. 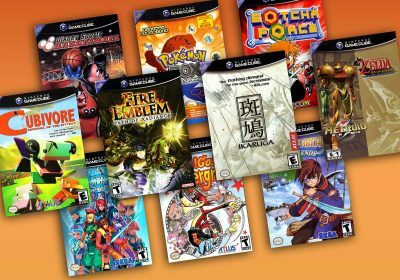 So I have taken the liberty of highlighting five of the most forgotten franchises from Nintendo’s large stable of games. 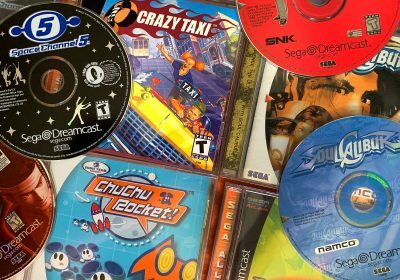 When choosing these games I selected five of the highest quality games with the smallest fan following. I’m not going to talk about Pikmin, F-Zero or Eternal Darkness because they games already have an established fan-base. Of course, if I have missed a game which you think deserves a mention then leave us a comment with a reason stating why your game is so important. When asking the question your average gaming buddies “Why do you play video games?”, the most common answer will probably be “to relax”. Yet this answer must baffle those who don’t play games as the majority of video games are all about achieving high scores, time attacks and outplaying your opponents. These examples are far from relaxing in most cases. Fortunately, we have Pilotwings. Pilotwings’ unconventional, pleasant and perhaps generic nature sets it apart from almost every other game in existence. If categorically classed, Pilotwings may be considered a flight simulation game. However, after a few minutes of play you’ll quickly discover that its nothing like any flight simulator that you’ve played before. Instead of focusing on complexity and realism, Pilotwings streamlines the experience to provide something that’s easy to get to grips and oddly addictive. The primary gameplay premise of Pilotwings is very simple: you control one of several aircrafts and must complete a series of set challenges to gain medals of a respective rank. Once you have completed one rank worth of challenges you move onto the next set. Objectives range from landing on targets to shooting down balloons and even the occasional boss battle. Because of the multiple aircrafts available and varying challenges there is always plenty of different things to do. If you do get stuck though then just select a different challenge or craft and off you go again. Enjoying Pilotwings doesn’t come from completing all of the challenges under a set time limit. Instead, you willl find that maneuvering your aircraft in the sky is the game’s biggest reward. There is a certain relaxed sensation that you feel once you fully understand how to navigate your aircraft — something which can probably be described simply as the joy of flight. Pilotwings is one of only a handful of games which allows you to enjoy this sensation. There are two reasons why the Pilotwings series was never took off. First of all, enjoying Pilotwings takes patience at first — something which many gamers may find hard to muster. Secondly, Pilotwings has always been put up against the mighty Mario. 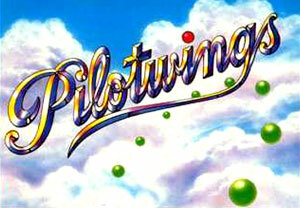 The two Pilotwings titles were both launch titles for their respective platforms (the SNES and Nintendo 64) and both launched alongside a new Mario game. This made Pilotwings an afterthought for most gamers whom were quickly caught up in the whirlwind success of these Mario games. Despite keeping a low profile the Pilotwings games have always set a high technical standard. Along with F-Zero, Pilotwings helped standardize Mode 7 on the SNES. Pilotwings 64 then took advantage of the N64’s analogue stick. Unlike Super Mario 64 with it’s dynamic movements, Pilotwings concentrated on slight, precision based movements of the analogue stick. Where PC flight simulation games require you to master complicated hot keys and realistic controls, Pilotwings makes it simple and accessible. It’s through the game’s streamlining of controls and realism that leaves you with only the essential elements required to capture the real sensation of flying. 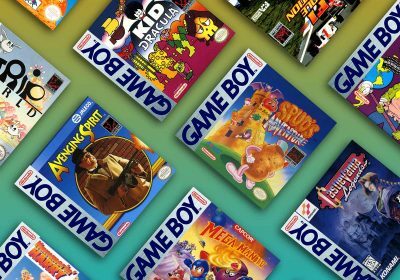 Currently Pilotwings and Pilotwings 64 are only available in original cartridge form – not even a Wii Virtual Console release has been announced yet. Wrecking Crew is an interesting game. Despite featuring Mario, the game never saw huge success and even now that it has been re-released on the Wii’s Virtual Console it is still being written off by critics. I guess there’s not a lot of charm to Wrecking Crew. After all it is a fairly plain puzzle-based title. In reality, Wrecking Crew doesn’t try to be an attractive game. In a way, it is very similar to a game like Ikaruga. It doesn’t try to hide behind anything. It doesn’t try to be fancy. Wrecking Crew is just pure level design to the to the core. In Wrecking Crew you play as everyone’s favorite plumber demolition man Mario and it’s up to you to demolish 100 rooms, wall by wall, structure by structure. You control Mario by climbing up ladders and rushing from one side of the screen to the other in order to demolish every destructible item with your trusty mallet. The trick is that ladders are also destructible. Therefore, you need to take great care in choosing the order in which you destroy each object. There is a strategy to Wrecking Crew, because if you destroy the ladder that you need to climb later on, you’re screwed. This is made even more difficult by some odd enemies which roam the stages in their patterned movement structures. Some enemies will take the shortest route to hit you while others will blindly walk around, getting in your way. Each destructible object in this set (that is the ladders, walls, supports and enemies) are all placed where they are for a reason. Its all part of the intricate level design where each piece of the puzzle has its own significance. You need to avoid all enemies as well as destroying everything you can in perfect order. Because of this, you will be constantly grappling with your own decisions on which way to turn next as one wrong move can cause a stalemate. It sounds tricky, but the game slides you in at such a quick pace. You will cruise through the first ten levels in no time and assume that Wrecking Crew will be a cakewalk. In reality, Wrecking Crew is a level design mistress that will punish you in ways you never knew existed. Each of the 100 levels in Wrecking Crew has its own strategy of competition and it will take every thought process you possess in order to muscle your way through the heap. Everything great about Wrecking Crew, from the surprisingly-long length and crazy-addictive gameplay, are a testament to great design. Wrecking Crew is also a member in the exclusive ‘programmable series’ club. This means you can make your own levels in it as well. 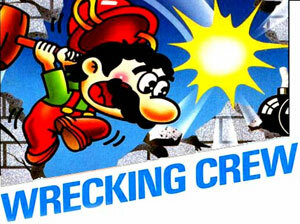 Wrecking Crew is currently available on the Wii’s Virtual Console. Kuru Kuru Kururin is an awesome little launch title for the GBA which never saw the light of day over in North America but was instead released only in Japanese, European and Australian markets. The lack of release in the US mixed with strong sales of the Super Mario Bros 2 port meant that Kuru Kuru Kururin never got the attention it deserved. 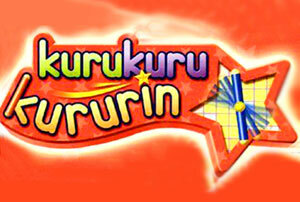 In Kuru Kuru Kururin you play the role of an ultra cute Kururin whom mans a twirling stick device called a Helirin. Essentially the game plays like a top down version of Super Monkey Ball except instead of a ball you use a twirling stick which continuously rotates. Throughout the levels you can find springs which (when hit) change the Helirin’s rotation. The main aim of the game is to traverse each level as quickly as possible. By changing the rotation of your stick back and forth at the right moments, you can squeeze past any obstructions that get in your way. Touching a wall or any other nasties loses you a heart, and when you are hit 3 times you fail the level. Additionally, three seconds are added to your run time and when you are trying to achieve the shortest run time possible hitting something isn’t an option. The game is all about noticing patterns in your environment and reacting to them accordingly. Kuru Kuru Kururin is a unique game, but unfortunately it feels a little on the slim side. Which is disappointing as the game only becomes challenging nearing the end. It feel almost under-utilized compared to games like Wrecking Crew. Still the Kuru Kuru Kururin experience is a truly unique one. Kuru Kuru Kururin is an interesting title and well worth your time if you want to play a quality Monkey Ball-esque game on the go. Additional, improved games have been added to the series, but are only available in Japan. 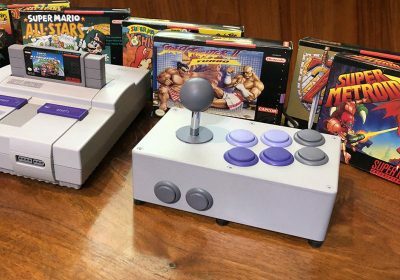 If you are after a PAL version then Ebay is likely to be your best bet. After not playing this game for about 13 years, I popped my Mach Rider cart into my NES and was blown away at the sheer speed of this game. It is F-Zero on your NES: balls-to-the-wall and surprisingly advanced for such a 8-bit package. Mach Rider was one of the 18 impressive titles to launch for the NE,S and like the other launch titles it stood out in it’s own particular way. In Mach Rider, you have to drive a continuous stretch of road on your motorbike avoiding enemy cars, puddles of oil, water, floating balls and any other random obstructions in your way. There’s not a lot of story in Mach Rider, basically the world has been invaded by evil forces and its your job to drive around from city to city wiping out any enemies on your way. Although I haven’t completely finished Mach Rider (you’ll find out why in a sec) supposedly there is not much of a conclusion. Of course, Mach Rider’s speed is the game’s primary feature. There was nothing like the rush of quickly moving up to fifth gear and ripping past all of the obstacles in your way, bouncing of enemy cars only to hit an oil patch, skid and almost crash out of control. It is controlled mayhem on an 8-bit scale. The reason why I can never finish this game is because of the speed, its so much fun cruising around in 5th gear that I always find myself crashing early and never getting very far. It wasn’t only Mach Rider’s speed that was impressive, like other games of roughly the same time period (I’m thinking Punch Out). Mach Rider squeezed everything out of the NES’ simple control pad. Within the pad’s tight constraints you could accelerate, fire bullets, change gear and steer your vehicle. And because all of this was mapped to such a simple controller it made these games so intuitive. Mach Rider is another shinning example of this simple ingenuity. Mach Rider surprisingly didn’t slow down as well; the NES maintained its crazy speed even when you couldn’t. Mach Rider was also a member of the exclusive ‘Programmable Series’ club. You could also select one of two tracks per each stage. Then there’s the fact that if you travel too slowly cars could hit you from behind and there was a rear view mirror to accompany this (with its own pseudo 3D effect). 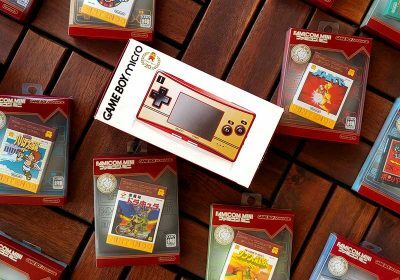 All of these small individual factors are just a showcase of what Nintendo was capable of back in the 8-bit days. Unfortunately, Mach Rider never received a sequel and the original remains in only two forms: The NES original (which is also on the Wii’s Virtual Console) and the Arcade title, Vs. Mach Rider (which is a modified version of the Endurance Course). Picross DS hasn’t even been outside of Japan for a year and its already been forgotten about. 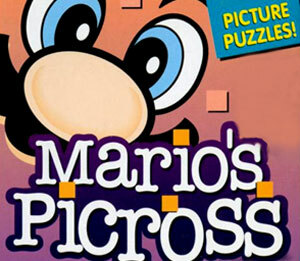 Despite slotting right in with the other ‘Touch Generations’ games, nobody really cared about Picross for some reason. This genius of a game is a basically a set of nonogram puzzles customized for the DS interface. Nonograms are essentially picture puzzles where you fill in squares on a grid to make a picture. The squares that you fill in are determined by set of numbers at the ends of each row and column which tell you how many sets of colored squares that are from that respective row or column. For example 2 3 4 means that there are sets of two, three and four colored squares in that order on that grid. The trick is to find out where the spaces are by matching up the numbers in the rows and columns. Sound tricky? Its not half as difficult as it sounds on paper: the game also provides a great beginning tutorial which makes everything very clear. Along with all of the modes and a flood of different images to create, you can also play Picross DS against a friend through local or online play. Additional grids can also be downloaded in packs through the Nintendo Wifi Connection. So a lot of neat additions have been included to increase the appeal of this title. Even though I have only had limited play time with Picross it becomes instantly clear once you understand how to play, that this game is truly something special. Picross DS had (and still has!) so much potential to be the next Brain Training or Sudoku but unfortunately like the original Mario Picross, Picross DS was not particularly successful.. This makes no sense considering how uniquely different and interesting Picross DS is. Picross DS is currently available for the Nintendo DS, Nintendo have also offered demos at wireless hotspots before so give it a try next time you’re out. balloon fight: wasn’t there a “nintendo club”-exclusive DS game featuring tingle, which was basically a remake of BF? Wario Blast: Featuring Bomberman! : I have NEVER heard of this one. Details? Wave Race: There was also an semi succesful title for the Gameboy as well. Its a pity that both games weren’t that successful. Even the original does not get that much attention as well. Balloon Fight: Yeah sure, although this game never came out of Japan if I remember correctly. Kid Icarus: Yes they think that Factor 5 will do it. I’m not sure though everything that Factor 5 are good at leads me to believe that they are (hopefully) working on a new Pilotwings game. Wario Blast was an mash up game with Bomberman and Wario released on the original Gameboy. I quite liked this one, it was one of Wario’s first games. Pilot wings with a Wiimote should work nicely. RC PRO AM! C’mon Rare, get on a 360 version or get it on the XBLA. Agreed on Kururin, Mole Mania and Kid Icarus.. the other ones I can do without. Nice article! 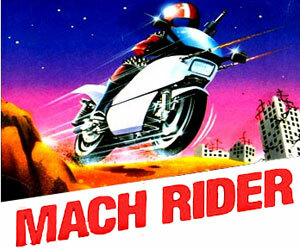 I was addicted to Mach Rider when I was a kid. I should probably just stay away from it…for my own good. Kid Icarus is great. Wasn’t it made by the same developer as Metroid? That sure wasn’t forgotten! Hasn’t Pilot Wings for the Wii already been confirmed? Releases March of 2009 I thought. I wasn’t sure about Polarium or Chibi Robo. Like I said though I went with what I thought was most relevant. Kid Icarus ran on the same game engine as Metroid not really sure about the developer but I’d say thats its likely. Hmmmm..not sure about Pilotwings, its very tentative ATM. I recently picked up a N64 for some retro goodness. Pilotwings 64 was just as awesome as I remember. N64 games have aged rather well compared to Playstation games. Anyway, Pilotwings was the first game I bought this time around and it doesn’t feel 12 years old. Just as fresh today as it was then, a timeless game. Where as Mario 64, to me anyway feels older than Mario World. Maybe its because I played the crap out of it back in the day lol. Kuru Kuru Kururin, I’m pretty sure, was indeed released in USA for the Playstation titled “Irritating Stick”. I remember the controller rumbled when you got “zapped” on the walls, and I also remember the name “irritating” was extremely fitting. The Irritating Stick was the sequel to The Irritating Maze for Neo-Geo. Though they have similar gameplay, they aren’t related to 8ing/Raizing’s Kuru Kuru Kururin games. I wouldn’t call Picross forgotten. 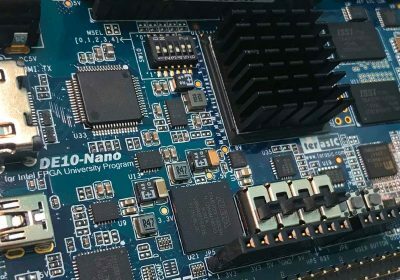 It’s been making a killing according to the NPD, WiFi Connection has been tracking a slew of hits, it’s recieved rave reviews, and CAG even has it in their running for Best Value In Gaming. When I saw Kuru Kuru Kururin on this list, I was surprised! I actually picked it up when I went to Italy a few years ago. It really does deserve more praise.